The impact of qualifying and strategy at Mid-Ohio is big as we preview the Honda 200, the title contenders and possible race winners. Mid-Ohio is beautiful, picturesque and challenging for drivers. It is not however a passing circuit so where drivers finish up after qualifying Saturday will be critical. The vagaries of the IndyCar qualifying draw system can always cause an upset but expect the usual suspects to vie for the front of the grid and the best chance of a win. Five-time pole sitter this season Will Power is likely to be the man to beat alongside Mid-Ohio master Scott Dixon. Josef Newgarden – in danger of losing his status as ‘star’ of the season to Graham Rahal – won at Barber which is essentially a rip-off of the Mid-Ohio layout and Simon Pagenaud will need to give everything in the remaining races. The Frenchman’s season with Penske has been like an old V8; you know it will be great once it gets going but it is a total guess when it will start. In the often cash-strapped world of IndyCar being a Penske driver should offer greater job security than usual. But running the Penske Truck Rental colors – as the Frenchman has done for most of the season – is always a sign the Captain is taking a personal punt on a driver. Challenging for another pole award would be a timely boost. 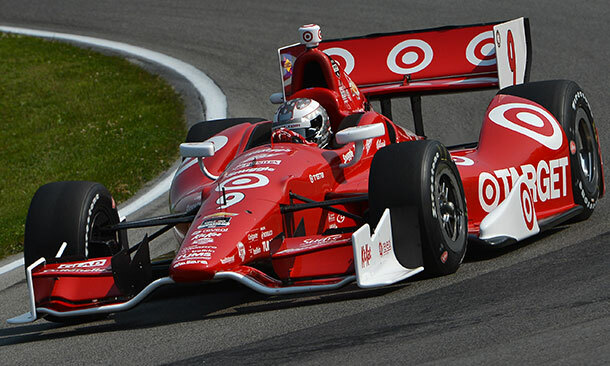 That said, as Scott Dixon proved last season strategy is even more important. Dixon raced from 22nd on the grid to the win with aplomb and in the process lead the most laps. Mid-Ohio is somewhere crew chiefs and teams can make the difference. Intelligent strategy calls and good management of tires can often give drivers – as with Dixon last season – the opportunity to win even if they lack the outright quickest pace. Lack of overtaking plus few full-course cautions mean fuel saving which plays in to the hands of 2014 winner Dixon and Will Power who have the finesse to combine lift and coast with competitive lap times. Penske and Ganassi of course do not have the monopoly on smart strategy; at Milwaukee KVH Racing and Jimmy Vasser in particular ran rings round the opposition. In 2014 pole sitter Bourdais they have a driver capable of running quickly and consistently, with a pedigree in endurance driving and ergo fuel mileage. The wheels on the defending champion’s title defense have literally and metaphorically fallen off in recent weeks. Accidents at Fontana and Milwaukee have seriously dented his chances. At face value Mid-Ohio is somewhere the Aussie should excel – a true road course yet he will be jittery about his chances. Ohio is one of the few places that continue to leave Power scratching his head. He is quick around there yet has not managed to win despite sitting on the pole twice and finishing second three times in five attempts. Now would be a good time for the 2014 champion to address that particular statistic, especially in the face of what will be a serious threat from Scott Dixon and Juan Montoya who is likely to be back to his consistent best this weekend. 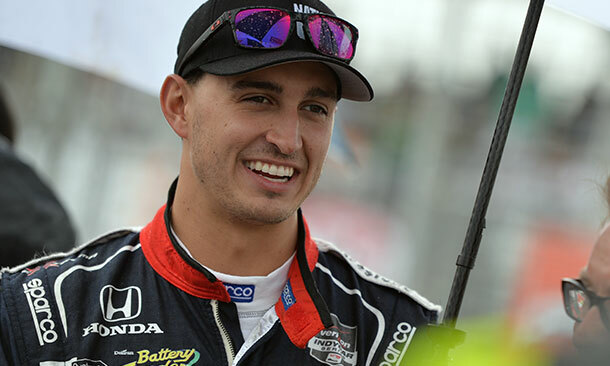 One man who hopes all three stumble in his home-state is Graham Rahal. We looked at his chances of stealing an unlikely maiden series championship in an earlier article but it is not going to be easy. A nice observation by throughthecatchfence on that same piece was that one of Rahal’s bigger challenges comes from lack of support. Few other team/driver combinations will likely take points from the combined Penske/Ganassi juggernaut as the season closes out. His cracking performance at Barber earlier in the year gives hope but even if he can beat Montoya, Power and Dixon, Helio Castroneves, Kanaan, Kimball and Pagenaud can all reduce the points he can take home. Time will tell if this really is a new and improved Graham Rahal. After a few rollercoaster races with Ed Carpenter at the helm, the second CFH Racing entry is back in the hands of the Italian. His last outing saw him take second spot in Toronto behind team-mate Josef Newgarden. Many suspected Filippi was faster than Newgarden in the closing stages of that race but held station as requested by the team. Mid-Ohio is where Filippi made his debut in 2013 and he is my tip for a surprise podium at the weekend.